ClearCompany employees from San Francisco and Fort Collins recently joined their Boston-based colleagues for our company-wide annual meeting. 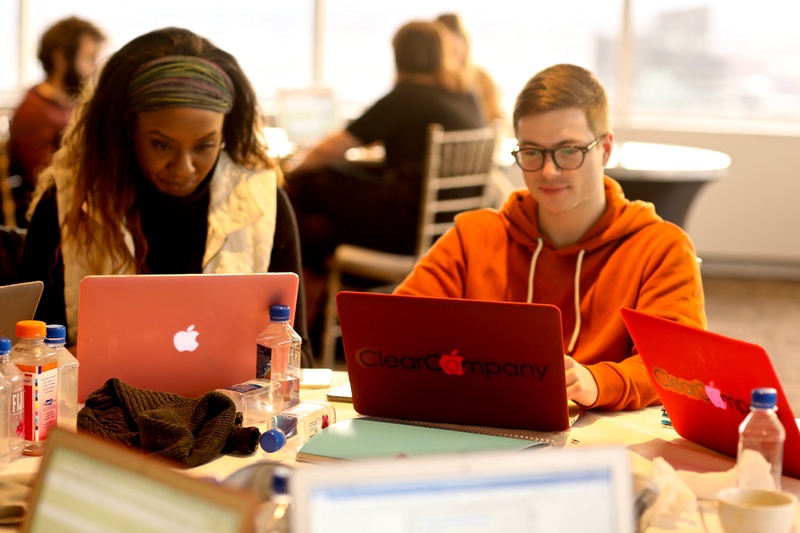 To kick off a week filled with departmental trainings, annual strategy overviews and goal setting sessions, ClearCompany employees put their minds together and “hacked” out some ideas they wanted to see become a reality. The Hackathon goal was to design a new feature for the system or re-design an existing feature in a way that benefits our clients and contributes to our mission of helping others achieve theirs. Employees from all departments came together and diverse teams were formed: Developers, Relationship & Implementation Managers, Client Solution Specialists, Sales team members and members of the Management Team sat down for a day to plan their projects, design the framework and compete! The first day of the hackathon was "brainstorm-central" where each of the seven teams came up with the topic they wanted to tackle. Throughout the day, teams had to generate solutions, user identities and their go-to-market strategy. The rooms buzzed with energizing collaboration. The second day of the hackathon was the developers' time to shine. Our incredible group of talented developers took their teams’ designs and built beautiful working models of their solutions. In the course of one day, teams were able to see their ideas and visions for their features come to life. Each team then presented their problem, solution and strategy to the Co-Founders for feedback. Both Co-Founders were highly impressed and delighted with the amount of depth and creativity the teams accomplished. The winning team not only would get their ideas implemented into the ClearCompany platform, but also got the chance to switch roles with Upper Management for a day. So, I was lucky enough to be ClearCompany’s Marketing Director for a day, while our CEO answered client calls and troubleshooted client issues. To say the least, it was fun hearing our CEO answer customer calls! What I found amazing about this event is that the company values were at the center of all of it: every innovative design (which ranged from overhauling the onboarding experience to workforce planning) to the process of having all team members cohesively work towards one goal. At ClearCompany, we preach the importance of engagement and goal alignment every day. It’s at our talent core. And this was just one glimpse into the many ways ClearCompany is constantly working to achieve our mission to help our clients achieve theirs through attracting, hiring and engaging top talent through beautiful and effective solutions. 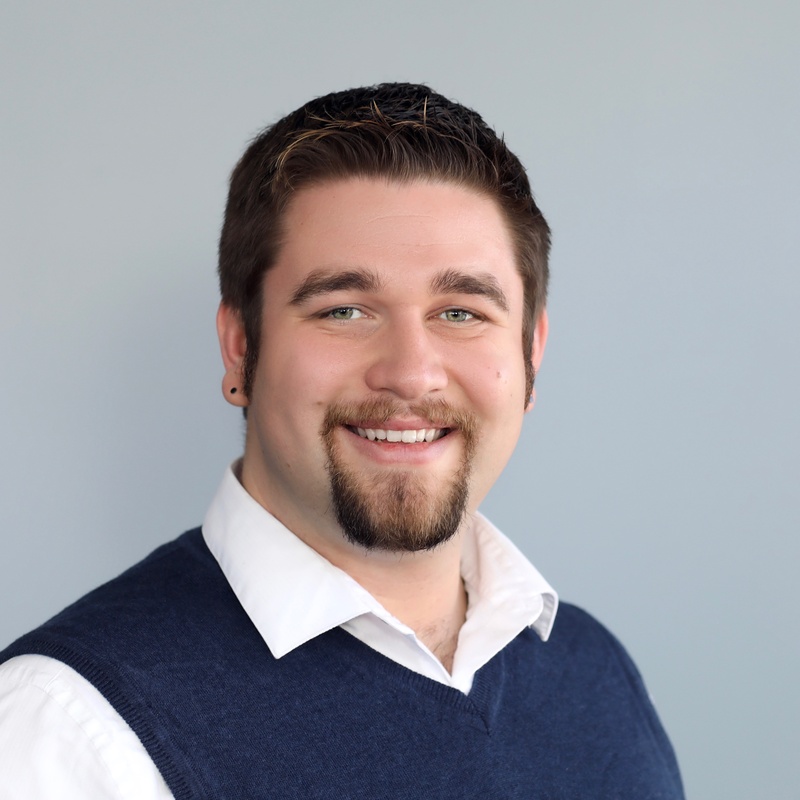 As a Client Solutions Specialist, Michael ensures that our clients have the resources they need to smoothly operate within our software. He trains new clients on the ins and outs of our system, resolves issues and serves as a subject-matter expert on our platform.